You have an important message to convey and McHenry Creative Services is the expert team that figures out which communication vehicle will get you the most bang for your buck. Our experienced team understands how people think, and most importantly, how they respond to messages. We provide entertaining and cost effective solutions to marketing, training and advertising challenges. And McHenry Creative Solutions brings life to your message, ensuring that your audience REMEMBERS. Your customers, prospects and employees remember everything that happens on the latest Netflix drama, YouTube sensation or the latest blockbuster movie. Do they remember your sales, marketing or training messages? They should! You have an important message to convey and we are experts in figuring out which communication vehicle will get you the most bang for your buck. At McHenry Creative Services, we understand people, how they think, and most importantly, how they respond to messages. We provide entertaining and cost effective solutions to marketing, training and advertising challenges. We bring life to your message and ensure your employees or customers remember. 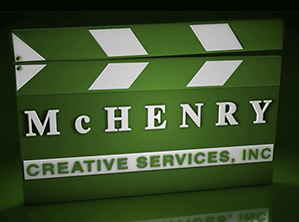 EXPERIENCE: McHenry Creative Services from the perspective of our Customers. The power of “Engage, Excite, Educate.” in a brief segment. Truly Memorable Messages – Delivered! 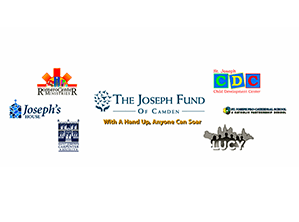 RESONATE: I think that McHenry Creative Services really helped us to get to that level of professionalism that’s going to make us more attractive to a large donor, a corporation, a foundation.” Jim Catrambone, Executive Director, The Joseph Fund of Camden. COLABORATE: “A partner is somebody that you’re going to work with over two decades and that’s what McHenry Creative Services has been for me and that’s what Tom McHenry has been for me; a true business partner.” Jenny McGinley, Senior Level Marketing Executive. EDUCATE: Danger can lurk around any corner of a sand mine unless you are prepared, educated in the procedures to be safe. McHenry Creative crafted an interactive module for Wisconsin based Smart Sand. McHenry Creative Services is super professional, super-efficient, very fast in delivering real quality work.